What is Using Indicators to Identify Trends? You've probably heard the expression "the trend is your friend" - but what does it mean? If your trend takes a sudden counter-move and your trailing stop activates at a loss, it's natural to ask yourself: how can you be sure the next trend will be more friendly? 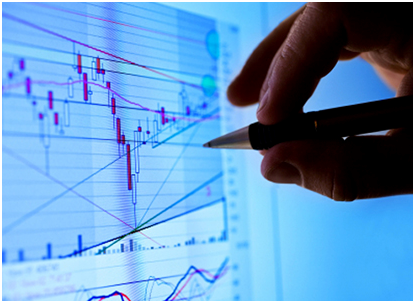 Using technical indicators in combination can help ensure a potential trend has staying power - a good habit for all kinds of technical trading, but especially in forex. Currencies tend to move in trends naturally due to long-term macroeconomic factors and short-term international capital flows. All of this makes it that much harder to see a trade-able trend that will last. From a trader's perspective, a trend is a predictable price response at levels of support or resistance that change over time. Trendlines mark these levels, with support acting as the "floor" and resistance as the "ceiling". When prices break through either of these levels, that signals a trend for that movement to continue. It's easy to draw perfect trendlines on historical charts - but harder to be right when the trend is still developing. Still trendlines help focus your attention on finding support and resistance levels, the first step to identifying a new trend. Start by drawing trendlines over longer timeframes (daily or weekly charts) and then carry them forward into shorter timeframes (hourly or 4-hourly). That way you'll highlight the most important support and resistance levels first and not lose the major trend development by chasing a short-term, minor one. Developed by J. Welles Wilder, the DMI minimizes the guesswork in spotting trends and helps confirm trendline analysis. The DMI system has two parts: •ADX (average directional movement index). If the ADX reading is above 20, that indicates a "real" or sustainable trend. The ADX also measures the trend's strength: the higher the ADX, the stronger the trend. •The ADX also provides an early indicator of a trend's end. When it drops from its highest level, it may be time to exit the position and wait for a fresh signal from the the DI+/DI-. •DI+ and DI- lines. When DI+ crosses up through DI-, that's considered a buy sign. When the opposite happens, that's usually a sell sign. Wilder recommends following the "extreme point rule" to confirm the signals. Note the extreme point for that period in the direction of the crossover (the high if DI+ crosses up over DI-; the low if DI- crosses up over DI+). Only if that extreme point is breached in the subsequent period is a trade signal confirmed. Many traders use the parabolic indicator along with the ADX to identify a trend's end. The parabolic indicator follows the price action but accelerates its own rate of increase over time and in response to the trend. The parabolic continually closes in on the price, and only a steadily accelerating price rise (the essence of a trend) will prevent the price from falling below the parabolic, signaling an end to the trend. The methods above can be used for short-term decision making, even in markets that are trading sideways - a "trendless" market. However, if you're trading short-term, don't ignore the big picture entirely. There's no point in trying to ride a short-term trend that is counter to the larger trend.